Boyish Leslie, a retired competitive swimmer turned children’s librarian, and girlish Alan, a fashionable hairstylist, are living parallel lives of thwarted desire, but soon they will be utterly transformed as the middle-aged shaman, Mildred McKenzie, opens the crack between the worlds and hurls them into an alternate reality. 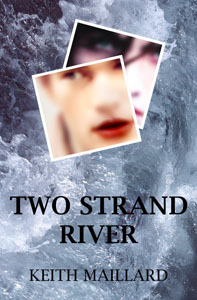 Originally published in 1976, Two Strand River is one of the earliest literary novels to star transgender characters. Reprinted twice, it has long been considered a cult classic and led the assault on the “gender binary” thirty years before that term was in common use. Saturated with folklore, mythology, and fairytale allusions, the book takes the reader on a fantastical trip through the gender mirror. Two Stand River. 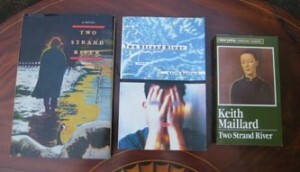 Left to right: Press Porcépic, 1976; HarperCollins (HarperPerennial), 1996; General Publishing (New Press Canadian Classics), 1982. The Press Porcépic edition was not copy-edited and so reproduced not only the errors found in my original manuscript but also contained others introduced by the type-setter. That edition may be a collector’s item, but I don’t recommend that anyone read it. I gave the General Publishing edition (1982) a meticulous copy edit, fixing misspellings, typos, and style errors. Although I say in the Afterword to the HarperCollins edition (1996) that it is identical to the General Publishing edition, I did not compare the two line for line, so, for anyone who cares about such matters, the General Publishing edition is the definitive text. Two Strand River is currently out of print. 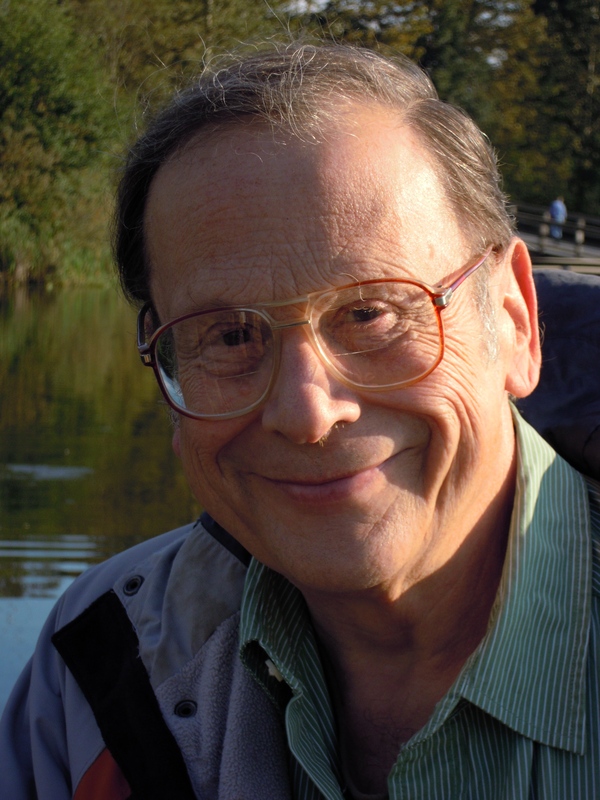 Two Strand River also launched me down the rocky road toward learning to be a screenwriter. “Hey, that book would make a great movie,” was something I was used to hearing, and I thought so too, but adapting the book to the screen turned out to be excruciatingly difficult. I lost track of the number of times I rewrote the screenplay, but I know it’s well over a dozen. My screenplay for Two Strand River won the Praxis Competition in 1986 (Praxis Film Development Workshop, Simon Fraser University, Centre for the Arts), was optioned by Once and Future Films, and made it as far as pre-production before our funding dried up. Studying screenwriting is one of the best things a fiction writer can do, and I’m really glad that I got the chance to do it. I read this book when i was younger: it changed my life and made me want to study with Keith. The details, the characters…intense and life-affirming. Thank you for your work, Keith. Thanks for the kind words, Cathleen. I really appreciate them.